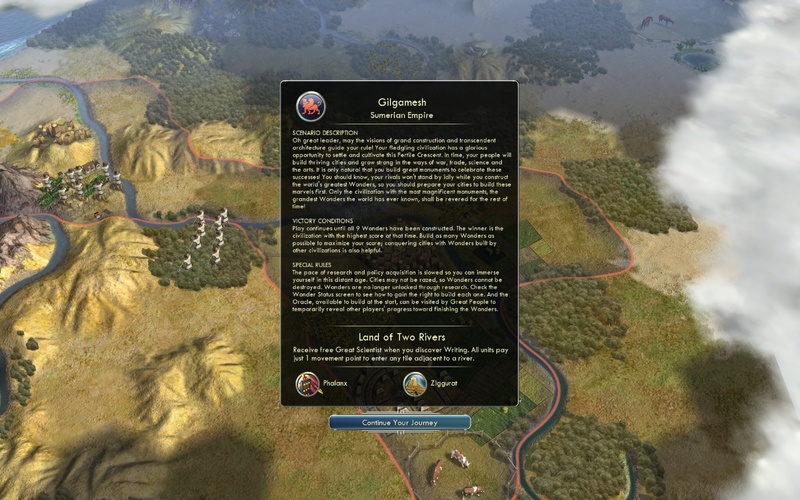 Build ancient wonders and defend against Japanese samurai in two new DLC packs for Civilization V.
We're nearing 12 months since Civ V was released and Firaxis has been pretty steadily releasing both new civs and correspondingly themed scenarios for the venerable strategy game. First there was the Babylonian and Mongolian DLC packs that came out last October. Firaxis followed up with a "double DLC" pack that dealt with discovering America and added the Spanish and Incan civs. Then there was a Polynesian pack that introduced the Hawaiian civ led by King Kamehameha who united the islands and a Vikings pack that added the Danish civilization. Now, Firaxis turns its eye back to the Far East by delivering the Civilization and Scenario Pack: Korea and a way to spice up old games in the West with a Wonders of the Ancient World Scenario Pack. Both are available August 11th for $4.99 each or together for $7.49. 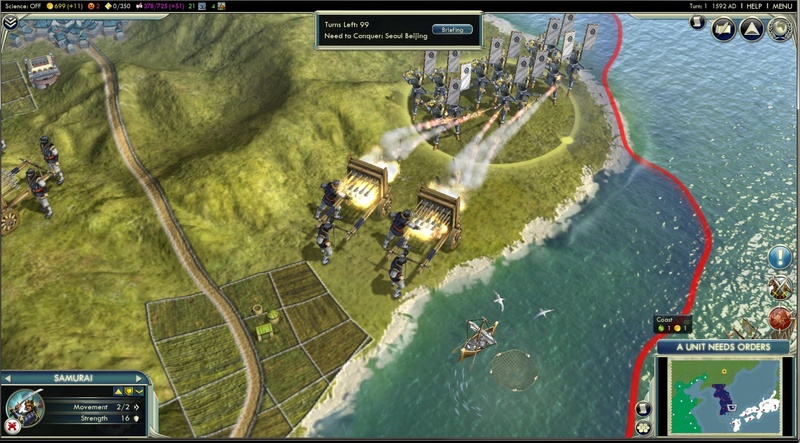 In the Korean pack, you can play as Sejong, King of the Choson Dynasty, with the special added units of the Hwach'a (replacing the trebuchet) and the Turtle ship which is a heavily armed vessel replacing the mostly exploratory caravel for other Civs. 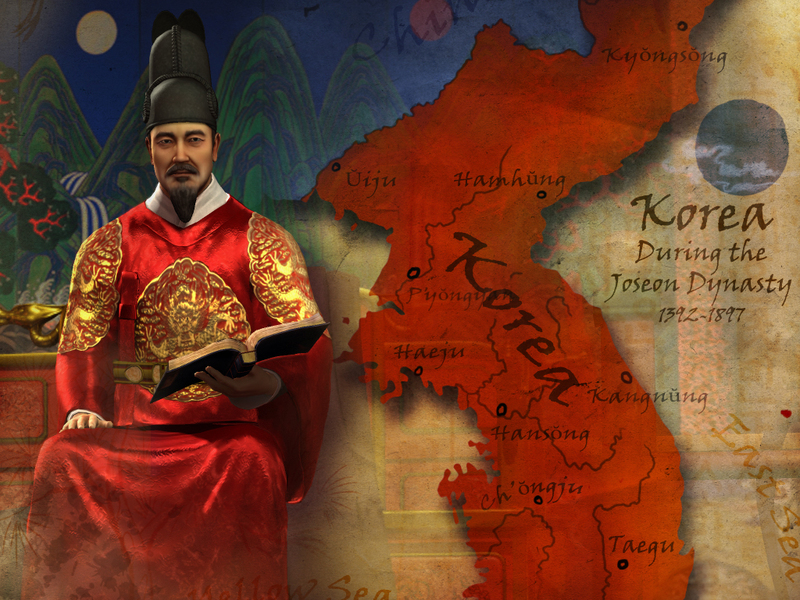 The special ability of the Korean civ is "Scholars of the Jade Hall" that provides science for each specialist and Great person land improvement, and a tech boost for each scientific building in your capital. For those Civ players who like rushing to a Science victory, Korea will be a great choice as a civ. The other pack adds the following great wonders that may be familiar from previous Civs: Mausoleum of Halicarnassus, the Statue of Zeus, and the Temple of Artemis. The packed in scenario pits ancient civilizations in the so-called fertile crescent between the Tigris and Euphrates rivers in a race to build the most wonders. Once all nine of the ancient wonders have been built, the scenario ends and the Civ that possesses the most wins. Of course, not all of the wonders need to be built in your civ, you can always invade your neighbors and take them over if you are more of a conqueror type player. Way back when the first DLC for Civ V was announced, I complained that they felt a little too expensive for what you got. Five bucks for a civ and a scenario still feels pricey to me, but the 2K hasn't lowered the cost for any subsequent offerings so gamers must be ponying up the cash. If you add up what all the packs cost together, counting all the deals for purchasing combos and the maps, you'd have to shell out almost $45 - more than a 90s-era expansion pack. I'm not convinced the value of the content is equal to $45 altogether, but the ability for consumers to pick and choose what they want seems to be a lucrative strategy for 2K Games.